Shopping for Central Air in Pittsburg, Kansas? Keep comfortable this season in Pittsburg with dependable residential and commercial cooling systems. Barone's Heat & Air, LLC offers sales and service of central air in Pittsburg, Kansas, helping all sorts of clients to maintain comfort levels even in the hottest months. Our experienced staff provide direction and design advice on all types of central air systems, serving the Pittsburg region since 2009. With up to date training in the latest AC innovations, Barone's Heat & Air, LLC technicians know the right solutions for our climate and work hard to keep Pittsburg residents cool and comfortable in the heat of summer. Working with only top quality AC brands, Barone's Heat & Air, LLC services and installs central air systems Pittsburg residents can count on. Call (417) 232-0017 to find out which manufacturers and models will suit your Pittsburg, Kansas property, or ask about our maintenance packages for reliable service on the most popular central air brands. Our satisfaction guarantee has helped Barone's Heat & Air, LLC to build a reputation in Pittsburg. Servicing homeowners and business around the region since 2009, Barone's Heat & Air, LLC technicians stands behind their work and proudly offer a solid guarantee on all aspects of central air service and installation. Invest in maintaining cooler indoor temperatures this year with central air in Pittsburg, Kansas. 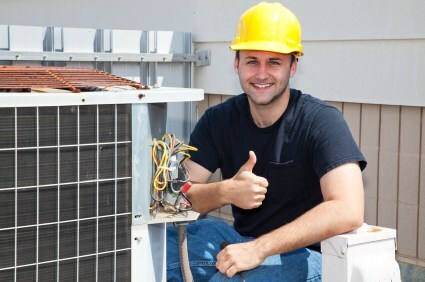 Barone's Heat & Air, LLC provides exceptional service with experienced staff and the leading AC brands, all backed by our satisfaction guarantee. Call Barone's Heat & Air, LLC at (417) 232-0017 today for more details and pricing information.